The younger sister to the Enterprise Investment Scheme (EIS), the Seed Enterprise Investment Scheme (SEIS) was first introduced in April 2012 to encourage investment into early-stage startups; those startups that have potential to grow and expand to completely revolutionise their industry. Providing investors with a range of generous tax reliefs - including 50% income tax relief and no Capital Gains Tax liability on any returns - you can directly back the next generation of British businesses in one of the most tax efficient ways currently possible. 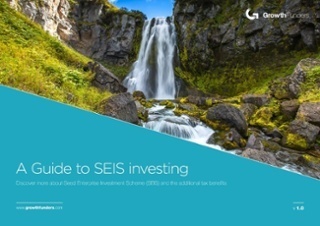 In our guide to SEIS investing, you'll be able to gain an insight into everything you need to know about the SEIS and how you can benefit as an investor. To receive the guide, simply fill out the form and get instant access to our insights on one of the UK's most generous investment schemes.